Looking towards Leamington showing the main station building sited on the down platform on the left and the timber framed and clad waiting room on the up platform opposite. 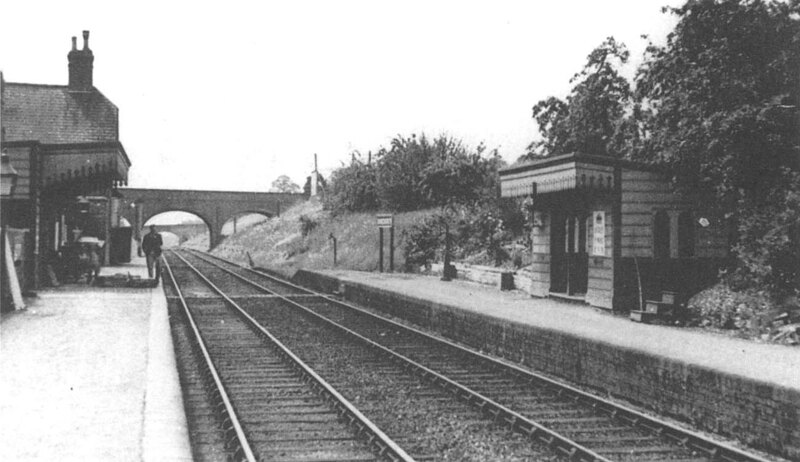 Dunchurch station differed to the layout of Birdingbury and Marton reflecting it had been being built some decades later. The principal difference being that the waiting rooms on either platform were identical free standing structures being built to a standard LNWR design. The station master's house also incorporated the booking office and toilets on the ground floor.